I’m all for meal planning. 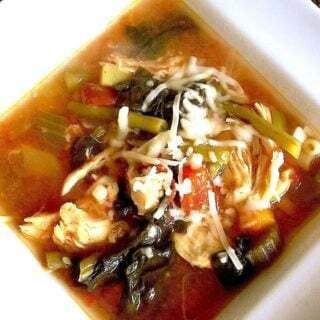 But sometimes the most delicious meals come out of not having a plan. 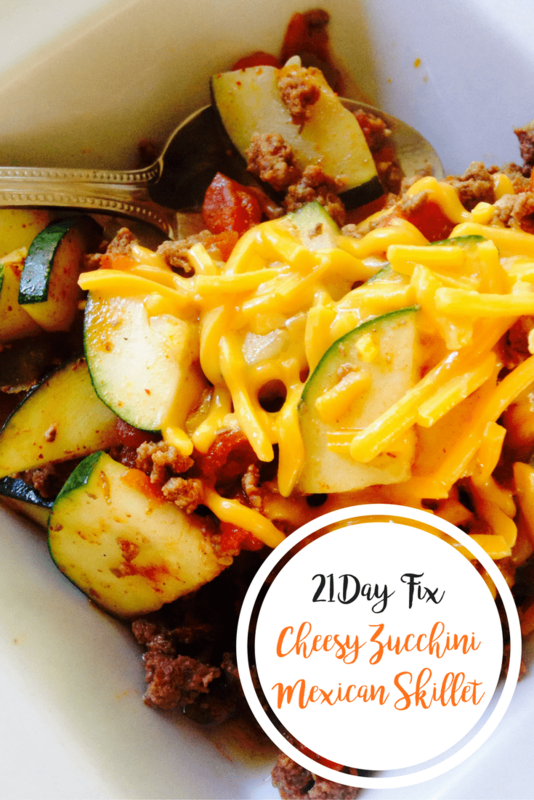 Like this Cheesy Zucchini Taco Skillet. 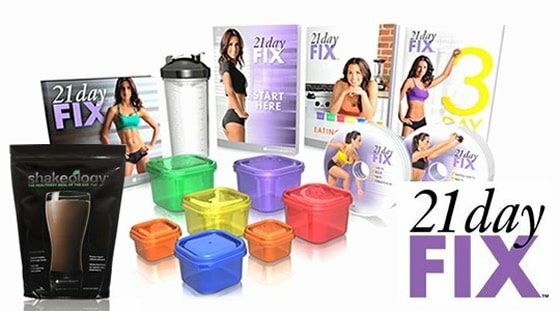 And people think the 21 Day Fix is a diet. Ha! 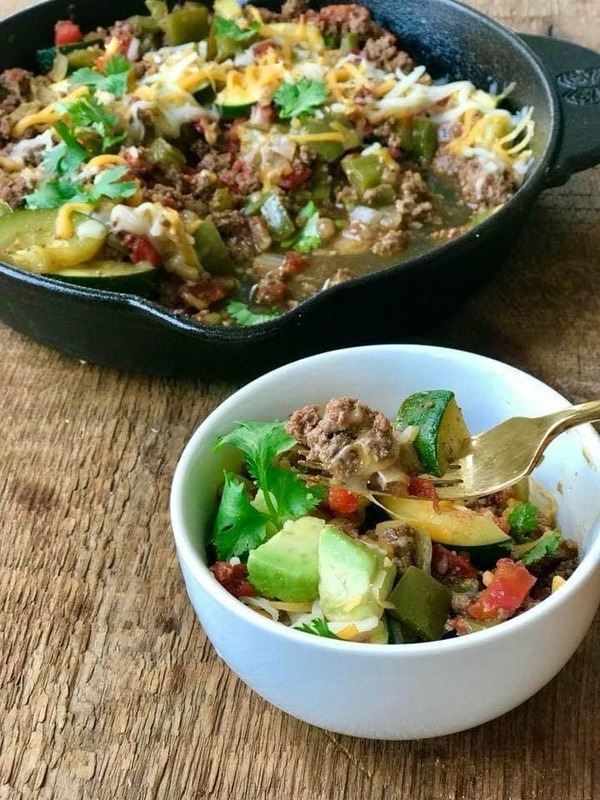 Anyway, this easy, cheesy zucchini taco skillet meal comes together in no time and it’s about as family friendly as they come. Because my garden is exploding with zucchini, we have been eating it almost every night. 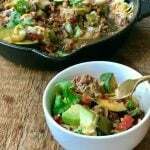 My kids were asking for Tacos, but I didn’t have any shells or lettuce to make taco salads, but I did have zucchini. And beef. And about 20 minutes because my kids were starving and threatening to eat every snack in the pantry. 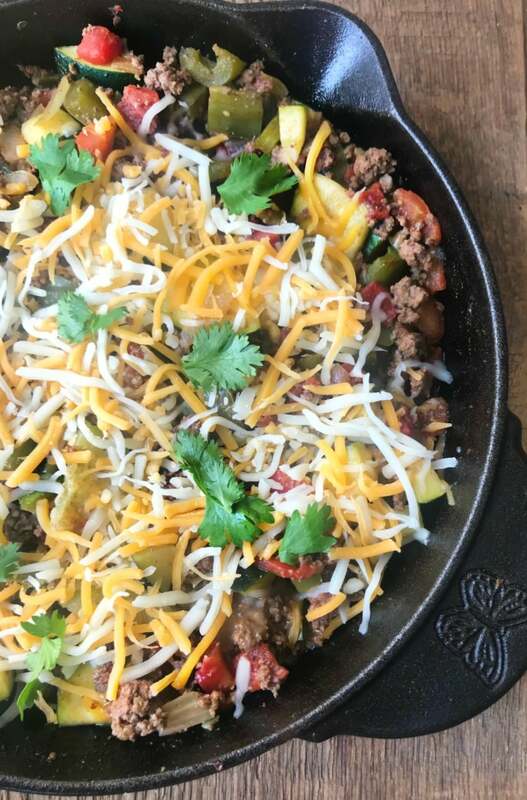 And so this amazingly easy one skillet dinner was born. My husband could have eaten this entire pan, by the way, if I didn’t portion it out for myself and the kids. 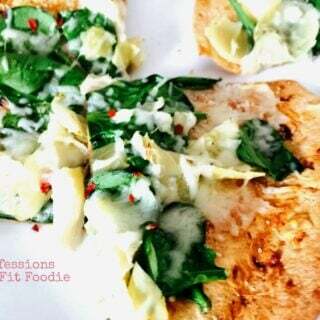 Before I mixed in the cheese, I plated some for my son and topped it with his dairy free cheese. The rest of us had some cheddar and Monterey Jack with ours – YUM. And we topped it with our favorite Taco Toppings – more cheese, some avocado, and cilantro. I even love this in lettuce wraps, so get creative and enjoy! 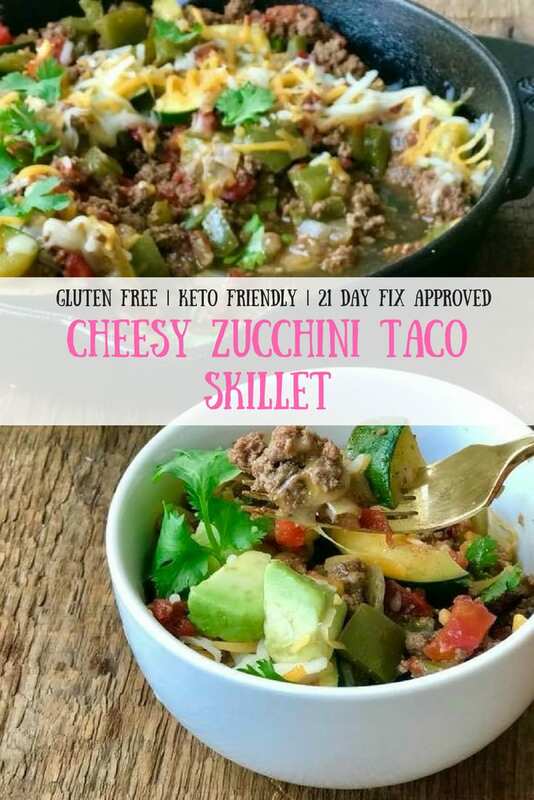 I hope you like this cheesy zucchini taco skillet recipe! taco toppings – avocado, cilantro, extra cheese, anything goes! Spray a pan with olive oil cooking spray. Over medium low heat, saute onions and pepper for 2-3 minutes. Add ground beef and brown until cooked through. 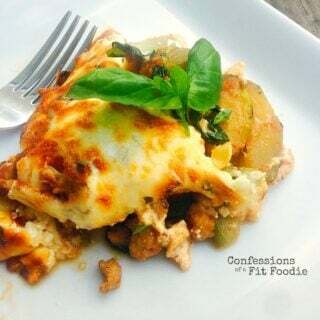 Add remaining ingredients and cook together for 10-15 minutes, or until the zucchini is tender. Stir in 2/3 cup of cheese and remove from heat (or omit this step for dairy free or if you are over your blue). 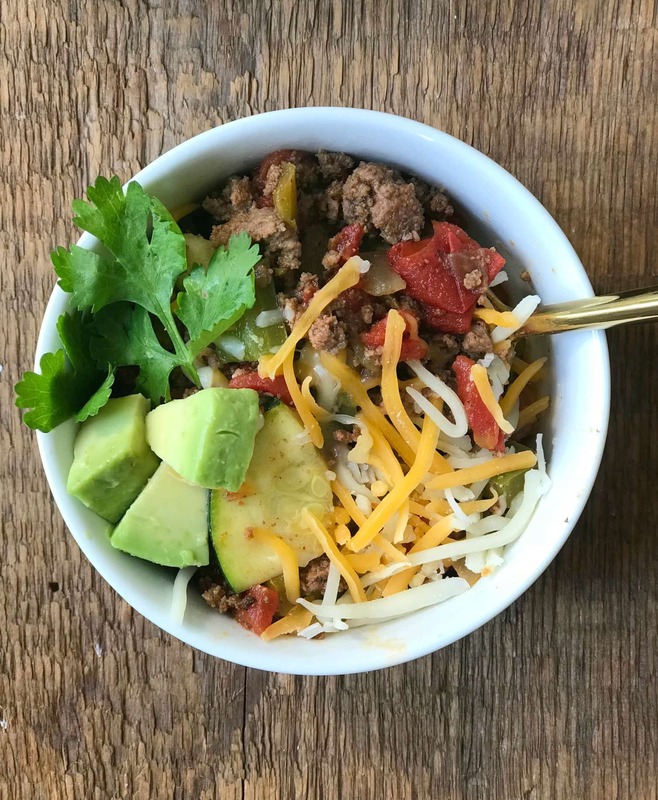 Portion into 4 bowls and top with your favorite taco toppings! Hi there!! What is the serving size for this meal? Divide the skillet into four equal portions after cooking :). 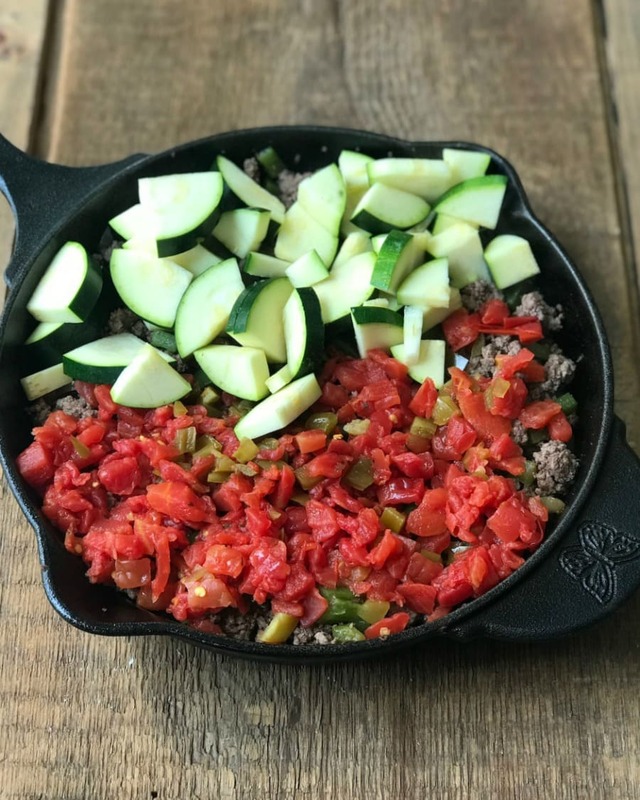 Should you cover the skillet when cooking that last 10-15 min?? Can you tell me how many of each cups a serving is? I would say approximately 3/4 cup. I do not, but you can easily use my fitness pal to get an idea! Nancylynn, if I want to grate the zucchini, about how many would it be? Does grating get you the same volume as chopped? 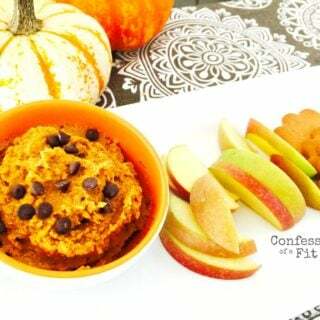 I want to make this for my lunches this week. 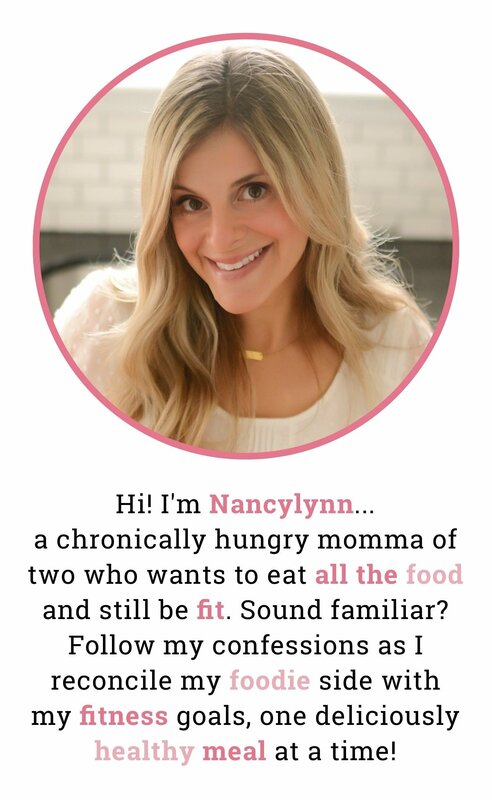 It sounds really yummy!